Cyberfraud is on the rise and occurs on a daily basis. It is on the rise so much and so fast it can cover a wide range of criminal activities. It can range from identity theft to terrorist attacks. The one that is most critical and what we are going to talk about today is phishing. Too good to be true: It is designed that way to catch your attention. Remember the old saying if it looks or sounds to good to be true, it probably is! Having a sense of urgency to them: Using the term A.S.A.P. or giving you a deadline in order to do something. Attachments: Sometimes the attachments they have attached to the email contain viruses. Unusual sender: This could look like someone you know, have done business with or are doing business with but the email is different, if it seems like something out of the ordinary or unexpected, or just plain suspicious don’t click on it! Personal emails are usually not encrypted and are easily hacked, this is often the case for consumers or real estate agents, doing business on their cell phones and personal computers. It is becoming more and more common in the title industry. There have been reports of a client receiving an email from a title company they were working with on a transaction, however the email didn’t come from the company email. The email stated that the company’s bank had been hacked and they were needing the client to send their closing funds ASAP to the attached revised wiring instructions. Luckily the website of the bank the client used was having issues and the client called the title company in a panic asking what to do. At this point the title company informed the woman that email was a scam and not to wire any funds with the “revised” wiring instructions. If the website had not been having technical issues, thousands of dollars of the clients money would have been lost and more than likely not recovered. 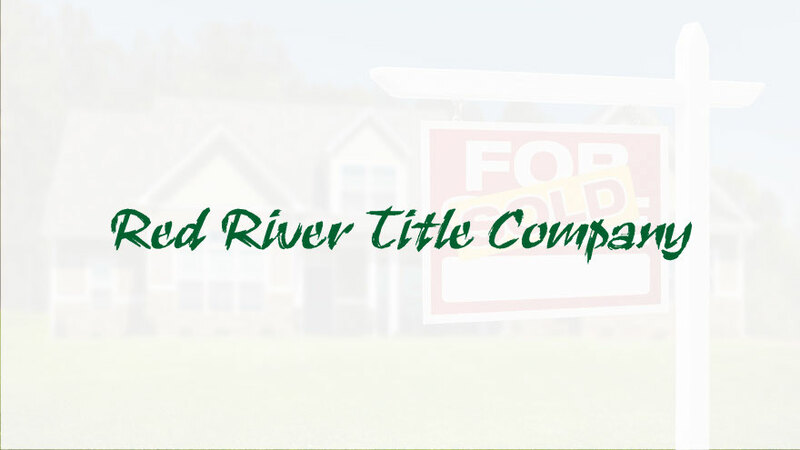 Red River Title Company wants to let you know that we take this issue very seriously and strive to keep our clients and business partners protected. If there is ever a question of the validity of an email you receive from any member of our staff, we highly recommend you reach out to us with a phone call. NextForeclosed home in the perfect neighborhood?